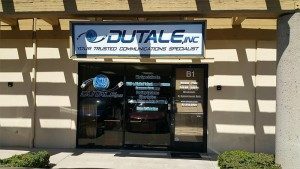 Dutale, Inc., offers premier telecommunication solutions to clients in Moreno Valley, the Inland Empire, and all throughout Southern California. Our team has serviced complex installations at various locations, from mega supermarket chains and car dealerships to churches, dentist offices, and law firms. 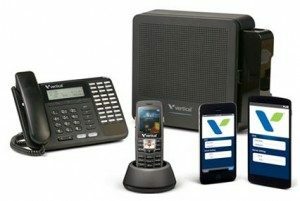 Come to us for VoIP system installation, telephone system support, fiber optic repair and more. Our company subscribes to the belief that customer needs are specific to business types. Dutale, Inc., is a proven leader in the business telecommunication industry. Our skilled technicians are dedicated to providing the highest quality of customer service possible. If there is an issue with your service which is caused by third party entities, Dutale, Inc. will go the extra mile to help you resolve your communication issues. Whether you are a new business just starting out, an existing business that’s beginning to grow, or a corporate enterprise seeking a dependable servicing company, Dutale, Inc., has the ability to accommodate your business telecom needs. At Dutale, Inc., we like to say, “Our Business Is Your Business.” We have over 40 years of dedicated service experience and have partnerships with some of the best product and software suppliers in the industry. Dutale, Inc., takes pride in providing services and products that meet and exceed our customers’ expectations. This strategy has garnered us a high percentage of repeat customers and referrals. We welcome the opportunity to earn your business, and you can rest assured knowing that we can deliver you the advanced troubleshooting and telecom support you need at competitive prices. Contact our Southern California telecom experts today to see why we stand above the rest. We work when others don’t!